The company was built based on our reputation. Our team members are best in class. When you meet our team, those are the people you work with on a daily basis. We pride ourselves on building strong partnerships with everyone we encounter. BCM Media, an advertising firm in Darien, CT, provides strategic media planning and buying services for B2C and B2B clients. We are tough negotiators, passing the savings on to our clients. We don’t take media commissions, therefore, you can feel comfortable knowing that what we recommend are the best media solutions. Is your business strategy fit to meet the digital world? Brenda has worked for Fortune 500 brands at major agencies for over 20 years. She specializes in B2C and B2B strategic media planning and buying for national and local clients. She served on the B2B board for the American Association of Advertising Agencies for many years. She has developed national and international media plans in many trade categories including healthcare, shipping/logistics, building, financial and chemical to name a few. Well respected with media partners, Brenda, is able to negotiate valuable advertising programs to help clients’ meet their goals and objectives. Brenda is passionate about child advocacy, mentoring and healthcare initiatives. Matt is a former Senior Business Analyst for Shopzilla and Product Development Director for Synapse Group. A Premier Google certified partner with excellent performance ratings, he works daily with both conversion focused and brand building campaigns for national and local brands. Matt’s expertise is helping clients transition into different digital platforms and assessing analytics for the best return on investment. This includes search and display, SEO, remarketing and social. Matt is the proud father of two, and an active member of his local community. He also makes a mean pizza and bacon marmalade. Jen is a dedicated, enthusiastic, result-oriented professional with more than 10+ years of experience in media buying and planning. Jen worked at major NYC broadcast buying agencies on brands such as SC Johnson, Subaru, ExxonMobil, Ferrero, HGTV, MTV, NFLN, 20th Century Fox, and NBCU. She plans and executes national, local, interactive television and radio buys across multiple networks and dayparts. Jen has also purchased Free Video On Demand Networks, satellite television, and radio. In her free time, she volunteers as a Girl Scout leader and is president of the PTO at her children's school. She enjoys traveling and spending time with her family. Local Top 50 broadcast markets. Television and Cable: Local and National Television, Cable Interconnects & Zone buys, National Cable, Syndication, Satellite (Dish & DirecTV), Video On Demand, Streaming CTV-OTT. Radio: Local, National, Syndication, Satellite, Podcasting, Internet Streaming. Premier Google Certified Partner. Working daily with both conversion focused and brand building campaigns. We transition clients into different digital platforms while quickly assessing analytics for the best return on investment. Includes Paid Search, Display, SEO, Remarketing, Social and Mobile. We cover all facets of print in both traditional and non-traditional venues. The options for OOH are enormous. Billboards, Transit, Place-based (DOOH), and Mobile in both traditional and digital formats. Plan and buy media in over 350+ trade categories for national and international clients. Trade categories include healthcare, shipping/logistics, financial, insurance, chemical, building, oil & gas, energy, construction, architecture, engineering, cardiology, veterinary, pharmaceutical, food, and mass market retailing to name a few. "BCM Media has served as a tremendously valuable partner to Bankwell over the last several years. Brenda McKenna has expertly managed the organization, scheduling and budgeting of an increasingly complex media plan. Matt Lukens has provided insights and expertise across a wide spectrum of digital media, including our website. Not only do I highly recommend this qualified and professional team, but I also enjoy working with them." "Working with Jen Creegan on Nicor Gas has been a pleasure. She’s open and always willing to discuss the strategy for the buy and how we can best reach the client’s goals all while maintaining a great relationship. 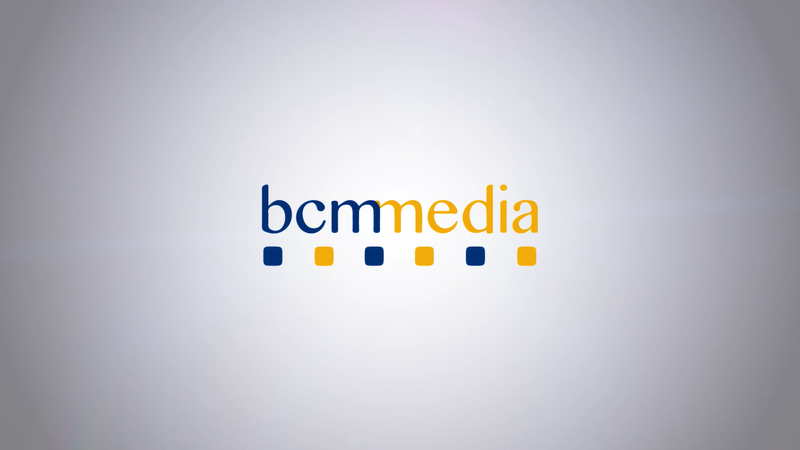 Always happy to work with BCM Media!" "BCM Media has been integral in placing Nicor’s EnergySmart program business across highest rated shows in the market. Thanks to BCM Media, Nicor consistently receives mentions at times when Chicago listeners turn up their radios for the most important news and information." "I’ve had the pleasure of working with Brenda McKenna for over 20 years in the media industry. Brenda is extremely media savvy and talented with a tremendous focus on the important details on every media plan. Brenda has a sincere interest in her clients' success and is very crisp in her communication with all involved. I would highly recommend BCM Media for all of your media planning and buying as her skills are second to none!" "Working with BCM has always been a positive experience as Brenda is very thorough in what her clients need from me with both my magazines as well as the digital opportunities. In addition, she works hard to learn what we have to offer and tailors a program that best fits each client's needs to make sure the campaign is a success. She is a true professional and I always like working with her to help her clients grow their business." Harold T. Michels, PhD, PE, Senior Vice President, Copper Development Association Inc.